don’t know if you still update this blog but wow, very nice work! Your work is really excellent, love your blog! I love your work and have just discovered your blog. Only to notice you don’t post anymore. Are you planning on coming back to it? By the way I painted a little model that reminded me of your work. Just love this painting of the loe English lady with her tiny dog! Beautiful work! 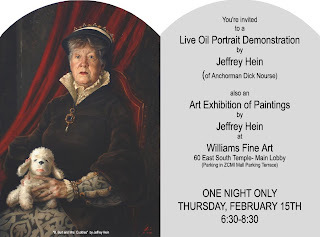 I’d love to watch your oil portrait demonstration. Is there a fee?